How do I login to my online courses? How can I buy my books online? How do I get help in my classes? I keep hearing students talk about the HOP Assignment. What is it? What do I do if I need help with the HOP Assignment? Although I registered for classes, I am unable to access an online course. I am a high school student. Can I enroll in online courses at HCC? Why are courses from previous semesters still showing up when I log into Moodle? Why are courses I dropped or withdrew from still showing up when I log into Moodle? What do I do if I am locked out of a test or an assignment? What if I go over the time limit on a quiz or test? What do I do if I need to have a test proctored? Why can't I open my instructor's documents? Registration procedures depend on whether or not you are currently enrolled at HCC. Visit the Enrollment Management webpage for details. Your HCC username is assigned upon enrollment. You should receive this in the mail. Generally, usernames are your first initial, middle initial, and last name; however, this is not always the case. You can look up your username in WebAdvisor. Your password is your six-digit birthdate. How do I log in to my online courses? Curriculum online courses can be found in Moodle. Continuing education courses are either in Moodle or Ed2Go. If you are uncertain where to find continuing education courses, contact the continuing education program coodinator. The Library hosts a technology help desk to assist students with computer issues and questions. The IT Help Desk can be reached at (828) 565-4009. Help Desk hours change each semester, but you may contact the Help Desk at any time by phone at (828) 565-4009. Please leave a message and phone number if you are directed to voicemail. Calls will be returned in the order received. Students will find the Student Orientation course listed under "My Courses" when logged in to Moodle. Completing the online orientation is required for future semester registration. For general online learning questions, contact the Distance Learning Help Desk at dl@haywood.edu or 828.627.4619 . Student Services conducts an on-campus new student orientation at the beginning of fall and spring semesters. Students who cannot attend the face-to-face orientation may access the information through the Student Orientation online course in Moodle. Students may withdraw from a course by following proper drop/withdrawal procedures. If you have academic progress concerns, contact your Advisor. If you have financial questions, contact the Financial Aid Office before dropping the class(es). Books may be purchased online or in person. To purchase online, go to the Bookstore page and click the "Buy Your Books Online" link (at the top of the page) to determine what books you need for a course and to purchase them online if you wish to do so. You may have to view and agree to the Returns Policy before using this service. If you have trouble with your online bookstore account, please call 1-800-381-5151. For further Bookstore assistance, details about the returns policy, and other Bookstore information, please visit our Bookstore page or call (828) 565-4127. If you have questions about course content or specific course policies, you will need to contact your instructor through the proper communication channels found in the course syllabus. If the instructor does not respond in a timely fashion (48 hours, not counting days that HCC is closed), please contact the Distance Learning Help Desk and alert us to the problem. The Help Desk can be reached at dl@haywood.edu or (828) 627-4619. If you need tutoring or additional academic assistance, please visit the Learning Support Services page or call (828) 627-4696. If you have general questions about distance learning or need help with technical issues, you may call (828) 627-4619 or email dl@haywood.edu. If you need help with your computer, such as using a word processor or downloading a file, please contact the Technology Help Desk at (828) 627-4009 or visit the Help Desk in the Library. Students must complete the HOP by the stated deadline in order to remain in the course. Failure to complete the HOP by the 10% date will result in being marked a "no show" and dropped from the course. Being dropped from a course may negatively affect your program completion progress and financial aid. You will not be able to access your online classes until 8 AM on the course start date. Not all courses start on the first day of the semester, so be sure to check your schedule for a course’s start date. You should be able to log in to Moodle within 48 hours of registering for classes. If you are unable to log in, please contact Distance Learning at (828) 627-4619 or dl@haywood.edu. Be sure to include your full name, student ID number, and the classes for which you are registered in your email or message. If you are receiving an error message, please also include that message. Please note that if you registered late (after the semester has begun), it may take 24 hours for your course to be made available to you. Your instructor's contact information can be found in several locations within the online course, such as in the Instructor Information located at the top or left side of the main course page and the course syllabus. If you cannot locate this information, you can send a “Moodle message” to the instructor. Always use proper communication methods with HCC instructors; e.g. HCC email accounts/addresses, Moodle message, office phone numbers (if provided). There are several ways high school students can take online courses at HCC, depending on age and school involvement. Please contact Jessica Honeycutt, High School Programs Coordinator, at jhoneycutt@haywood.edu or (828) 565-4119, if interested. Why are courses from previous semesters still showing up when I log in to Moodle? Courses remain available on Moodle until your instructor turns them off or until a new semester begins, whichever comes first. Unless you took an “incomplete” in a course, you may safely ignore any old courses. Why are courses from which I withdrew still showing up when I log into Moodle? Courses from which you drop or withdraw have to be manually removed from your Moodle account. Contact your instructor to “block” your access. After logging in to Moodle, your profile settings will appear on the “Dashboard” and in the drop-down menu under your name, top right of the screen. Contact your instructor immediately by email, Moodle message, or phone. Most instructors have a policy about this in the course syllabus. 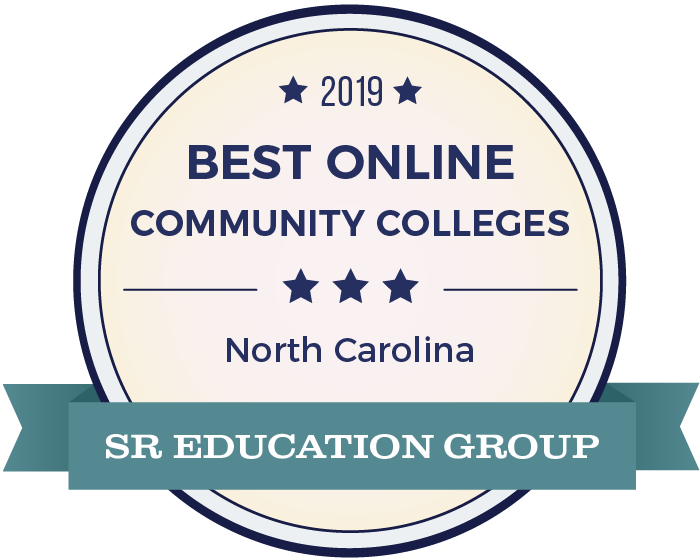 If you do not have a reliable internet connection, it is strongly recommended that you use a local college or library when you take an online test. Moodle displays the quiz time on your screen for timed quizzes. You will get a warning message when you are almost out of time and your quiz may automatically submit if you go over your time limit (depending on how the instructor set the quiz). If you go over the limit without the quiz submitting, your instructor may deduct points from your score, so be sure to pay attention to the timer. Some instructors require that certain tests be taken in a proctored situation, usually at a college or library. If this is the case, that instructor will provide you with the necessary requirements and forms. If you need to have a test proctored at HCC, please contact Learning Support Services at (828) 627-4696. There is no charge for test proctoring if the test is for a North Carolina Community College. There is a $25 fee for all other proctored tests. Current students can obtain an unofficial transcript through WebAdvisor. Log in to the Network Access Portal and select WebAdvisor. If you need an official transcript bearing the college's seal mailed to you, you can complete a Transcript Request form found on the Enrollment Management / Transcript Request page. For questions, please contact Enrollment Management at (828) 627-4500. We recommend the latest version of Mozilla Firefox or Google Chrome for your online courses in Moodle. Check your syllabus or course instructions for file types used in the course. If you have questions, contact your instructor. Microsoft Office 365 is free to students. There is a link to downloading instructions in the Network Access Portal. Please note: Some courses required special software. See the course syllabus.